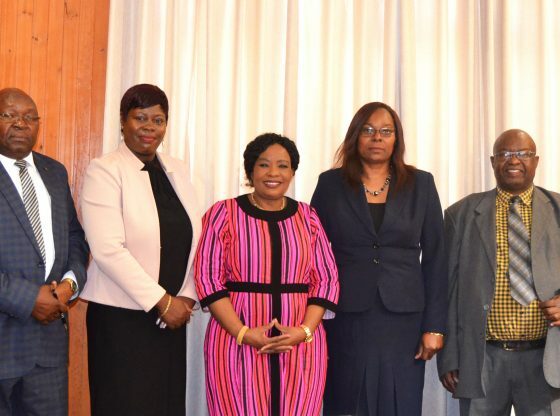 The First Lady, Cde Auxillia Mnangagwa on Tuesday the 24th of April 2018, attended a Research and Ethics Workshop at Midlands State University’s Gweru Main Campus. The workshop, which was organised by the University’s Research and Postgraduate Studies Office, sought to sensitise postgraduate students particularly those undertaking doctoral studies on the importance of research ethics. The First lady who is currently studying for her doctor of philosophy degree with Midlands State University was part of a group of about 100 hundred PhD students and supervisors who took part in the workshop. Having attained her Masters of Business Administration (MBA) and graduated in 2008 from Midlands State University, Cde Auxillia Mnangagwa, is no stranger to the University. The one-day workshop gave participants an opportunity to discuss issues such as research integrity in higher education and the academic supervisor’s role in promoting good research practices in students’ research among others. The workshop ended with a certification ceremony that saw participants being awarded certificates of attendance. Speaking on the sidelines of the workshop, during a courtesy call on the University Acting Vice-Chancellor, Professor V N Muzvidziwa, the First Lady commended the University for its efforts, in advancing national aspirations through the production of innovative graduates. She also urged the University to take advantage of the new dispensation to ensure growth and development of the institution.